Congratulations! You're getting married!! How exciting! It's an exciting time, with lots to plan, and most of it very exciting - but for some people the thought of dancing in front of a room of people is just too much to handle. But have no fear - RhythmAddict is here to help you. Whether you want a simple and elegant slow dance, or a classic foxtrot or waltz, or even a fully choreographed dance to your choice of songs - we've got you covered. We know that along with the joy of the upcoming event, you're also looking at lots of expenses. Your guests may not remember the expensive little favors that get thrown in the trash at home, but they will remember a graceful, fun and engaging first dance by the couple they came to support at the start of their new lives together. And we try to make it as easy as possible to say yes to your very own customized first dance by offering packages to fit any budget. First Blush: 4-50min Private lessons just $397 per couple. If you're pressed for time but still want something better than a standard high-school dance, we've got you covered with a nice entrance, finale and some movement in-between. First Look: 8-50min Private lessons just $697 per couple. Take it up a notch with more than just one or two moves, better musicality, and overall more fun. First Kiss (Best Value): 10-50min Private lessons an amazing $797 per couple. Be the master on the dance floor. Nail your first dance with your entrance, movement, turns, styling and finale that will wow all your guests. 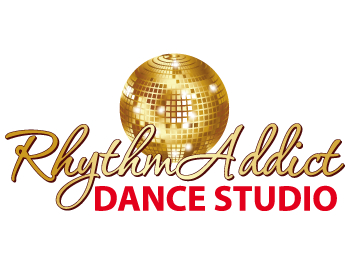 Since we can't tell you is which package is the best fit for you, we offer a limited number of Free Dance Design Consultations each week to go over the details of your event and help determine how we can best help make your first dance memorable and FUN. Just complete the form below and we'll contact you to reserve a Free Consultation (or just call or text 909-240-7615).